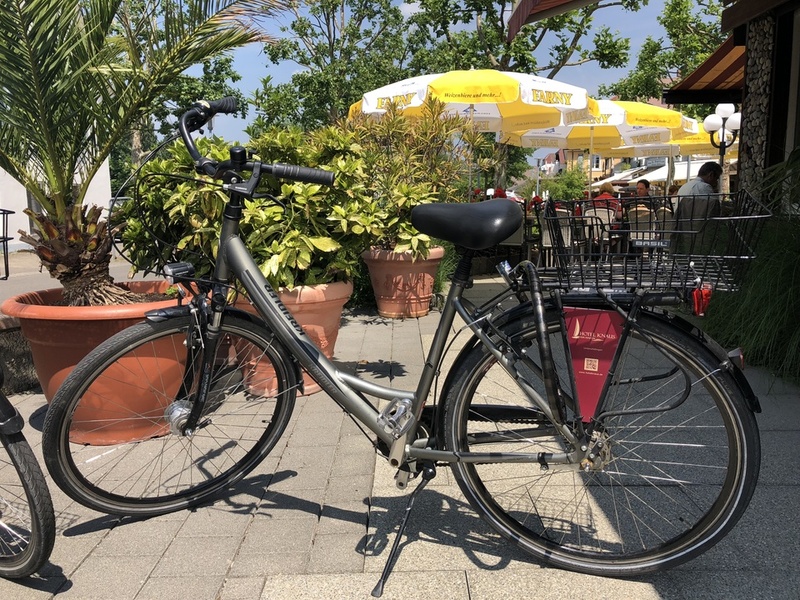 Probably the most beautiful way to experience Lake Constance is a day trip on a bike. We know routes that lead you quietly away from the roads, largely without inclines along the lake, pure enjoyment. Water, hills, and forests. Purists among the Lake Constance travellers know that, in this region, it takes only little to enjoy one’s summer holidays to the full. By way of example, one ought to have rolled down slopes with freshly mowed meadows by bike early in the morning, wearing short pants, or one ought to have fallen asleep under the midday sun in the rustling reed grass, one ought to have had one’s hairstyle tousled at the bow of a ferry, you can experience all this on a bike ride along the lake. 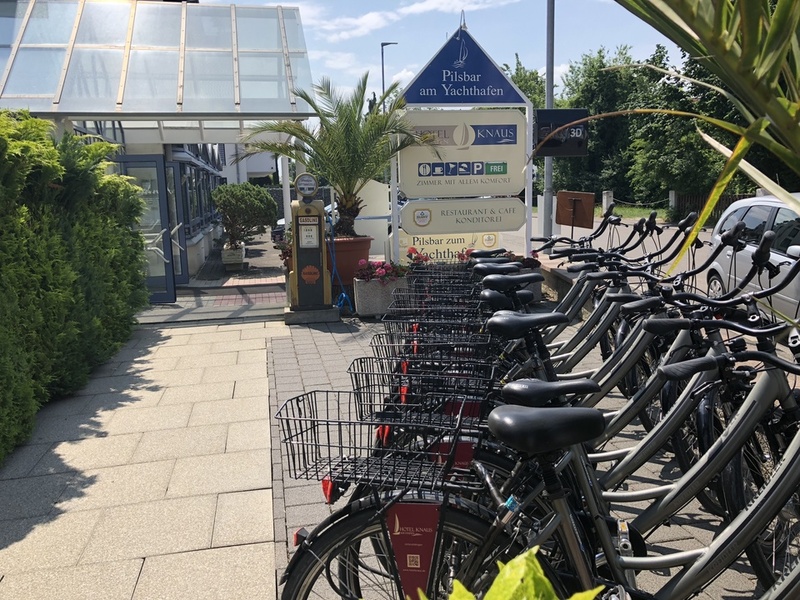 Directly in front of our hotel we run from 07:30 to about 19 o'clock in the evening a bicycle rental with a public air filling station. we give so-called "unisex" wheels, meaning new bikes in Holland style. They have 7 gears and a coaster brake and a bicycle basket. The tire size is 28 inches and the bikes fit for people between 1.60 to 1.90 meters in height. You sit upright and see something and you can also go on larger tours. We rent a child trailer for 10, - Euro daily. You would then have to transfer in advance to our account. As a service, you get beautiful tour suggestions and good weather information.